You better leggo those eggos! A report from CNN says that "About 10,000 cases of Eggo Nutri-Grain Whole Wheat Waffles are being voluntarily recalled in 25 states because they could be contaminated with the bacteria listeria, Kellogg Co. announced Monday on its website. The recalled waffles are available in 10-count packs with "Best if used by" dates of November 21, 2017, and November 22, 2017, which can be found on the side of the package. You can also look for the UPC product code on the label." 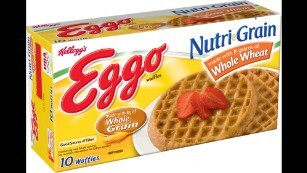 Eggo says the product has been recalled in 25 states including Indiana & Ohio.